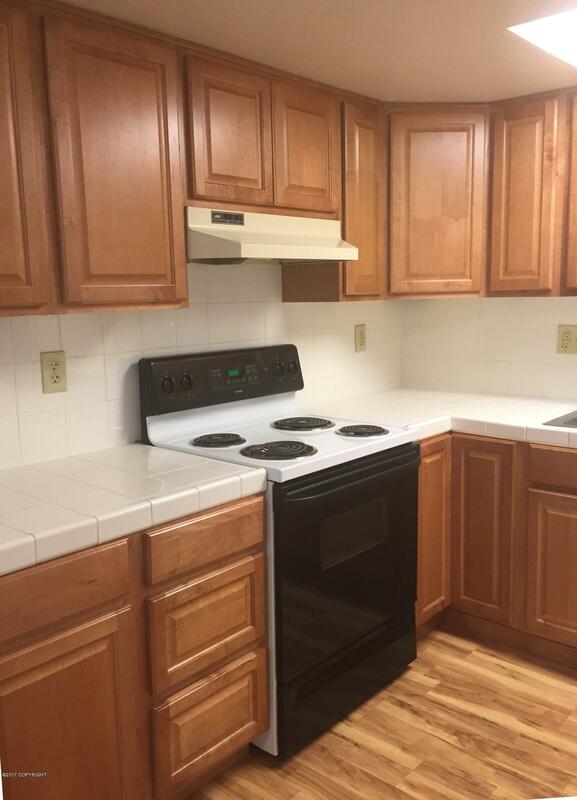 Remodeled bath & kitchen in 1 BR--Boniface & Tudor. All updated: tub, shower, range, kitchen cabinets, countertops, DW, refrig, laminate & tile flooring & BR carpet. Coin laundry, 2 parking spaces & heated storage. Property is within easy walking distance to the AK Club East, UAA, Providence Hospital & the AK Native Health Center. No pets/no smoking. 6 mo. ls.